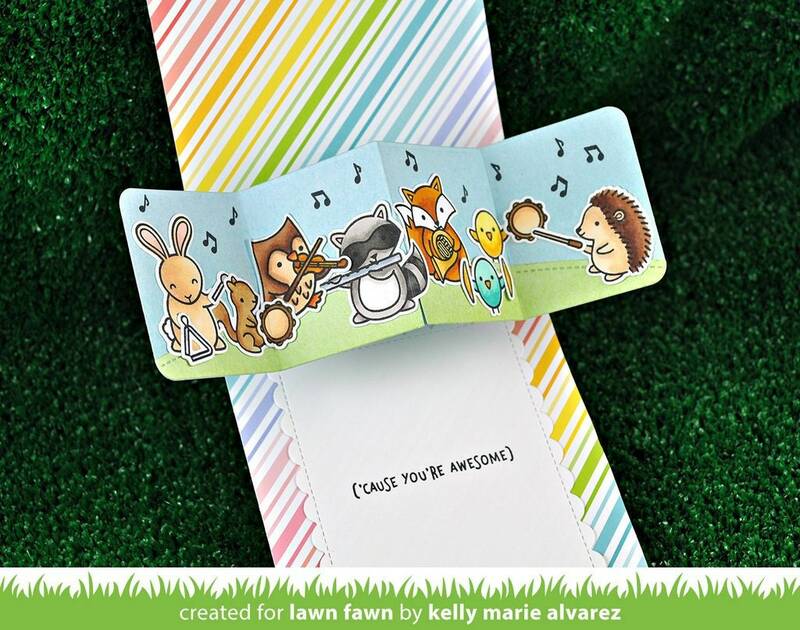 Sing a happy tune as you craft with these musical critters! 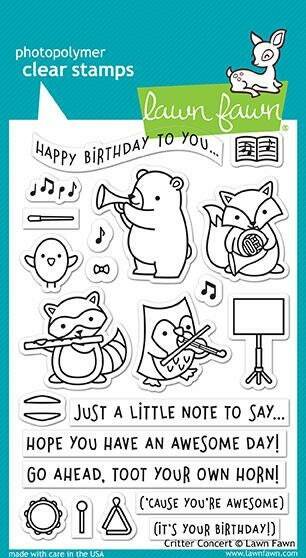 This stamp set is great for birthdays, congratulations, or just-because cards… especially for the musicians or music lovers in your life! 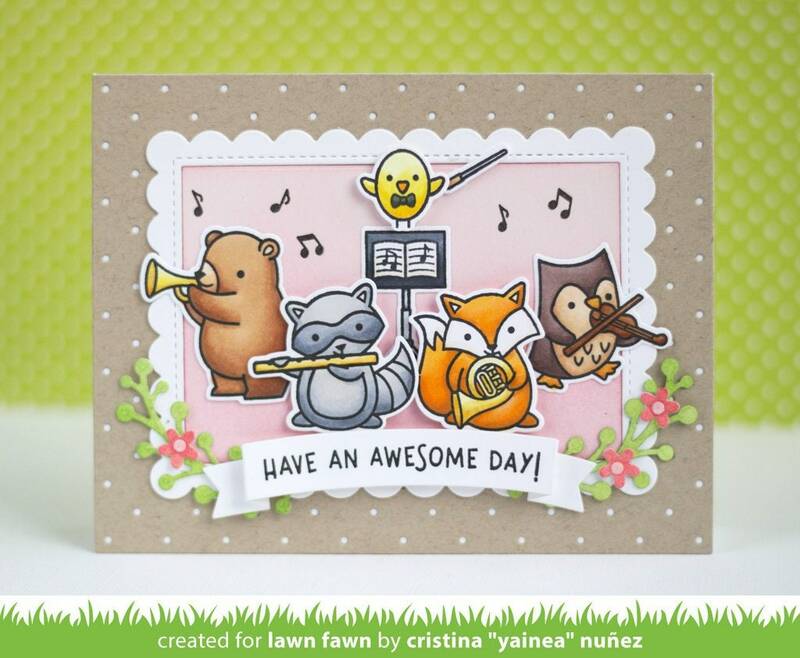 Coordinating set ideas: Use the animals from Some Bunny or Forest Feast to add more musical critters to your band. Add birthday hats from Wild for You for a cute birthday card. Or use the dies from Little Music Notes to decorate your card!